A former Wall Street Journal reporter offers the first-ever complete biography of one of Americas most influential men. 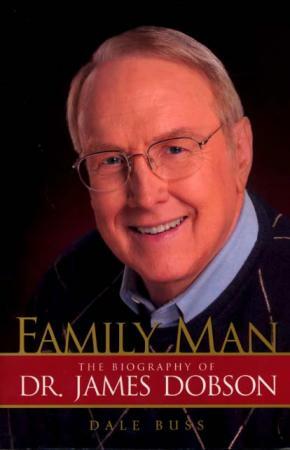 In Family Man, author Dale Buss (nominated for a Pulitzer Prize) presents the life and times of Dr. James Dobson, his many achievements, challenges, and his role in evangelicalism and the larger contemporary culture. Dr. Dobson is one of the best known pychologists in America, the host of a daily radio program (with an audience that is exceeded only by Rush Limbaughs and Paul Harveys), and the author of multiple best-selling books whose favor is sought out by presidents and other national leaders. His organization, Focus on the Family, has become one of the largest parachurch ministries in the world. Family Man is a fully-developed account of Dobsons life, giving both friends and detractors glimpses into the whole man and his beliefs, accomplishments, and impact.